This is based on a science fiction novel called A Princess of Mars, part of an 11 volume series of books from author Edgar Rice Burroughs. In the film a Civil War veteran named John Carter (Taylor Kitsch) is meant to have died in the late 1800s on Earth. His body is said to be in a locked away and instructions are given to his nephew Edgar (Daryl Sabara) to protect it. This is because John has actually been transported to the planet Mars, or 'Barsoom' as it is called here, while his real body remains on Earth. Two human groups are fighting against each other on the red planet for the city of Helium. The baddies are led by Sab Than (Dominic West) who has been given a powerful weapon by some mysterious teleporting men, including Matai Shang (Mark Strong). 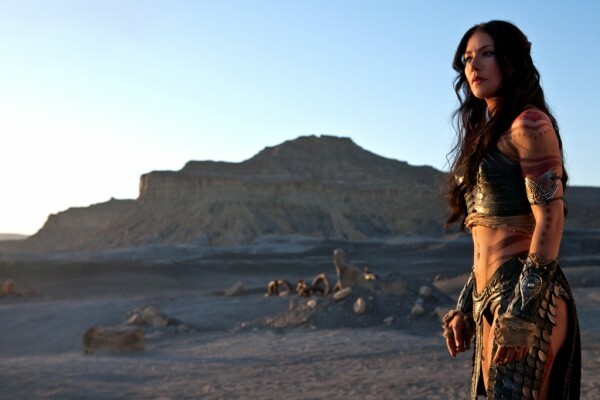 With this powerful device and some massive airships Sab says that he will spare the city if he can have the hand of the princess Dejah (Lynn Collins). Meanwhile, John Carter also finds himself on 'Barsoom' too with increased agility that allows him to jump great heights. He also meets a talking alien species, Barsoomian warriors who are barbarians that take him in. Carter finds an ally in one of them named Tars Tarkas (voiced by Willem Dafoe) and with the help of these aliens Carter has to try and save the princess. Confused? The director Andrew Stanton, the man behind such Pixar films as Wall-E (2008) and Finding Nemo (2003), opts to throw you into the deep end here. The film holds your head underwater, all the while boring you with its own philosophical ramblings regarding time travel. Or maybe not. This level of self-importance masks what is essentially another 'save the princess' story. The film, which was a Disney production, is rumoured to have been passed on from several directors, undergone length reshoots, hedged back from a rough-cut that was said to be three hours long and the victim of an inflated budget too . 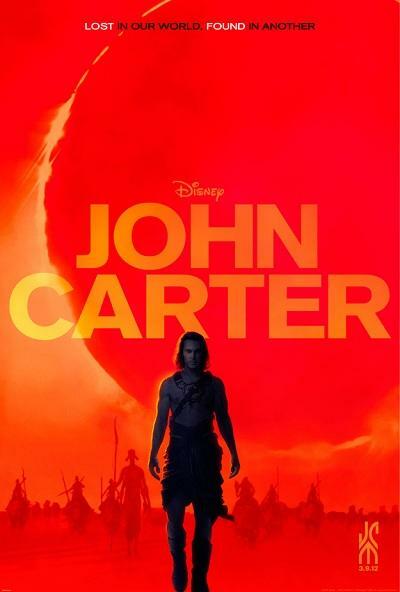 I have little doubt about the authenticity of some of these rumours because as shown John Carter is ridiculously bloated, running unjustifiably over two hours long, with fleeting strands that make little sense to the uninitiated. I am not familiar in the slightest with the 11-volume Barsoom series and after this film I don't have any great desire to read them. As somewhat of a safety net and a relief, the film reminded me a lot of Thor (2011). Both films mix magic and technology and take place in contrasting worlds. But what's missing here though is clarity of theme, purpose and the playful self-referencing. The fans of the graphical novel are likely to take this film, and perhaps this review, apart as they will know the ins and outs of what this film is about. I wish the film had the same insight because I could make little sense of its existence, particularly in terms of style and character. The film shifts not only between time and place, which is confusing enough, but also drastically in tone as well. It is at times cartoonish, as Carter flies through the air and lands with a thud, but then incredibly melodramatic as characters rattle off long-winded speeches. There is no consistency to the film's art style either. At one moment the film is playing cowboys and Indians, then cowboys and aliens (it was going to come up eventually) then opting to mix time periods together. People are flying around on these airships dressed what looks like Roman soldiers. Why? There are even some gladiatorial references as the aliens seem to be a barbaric lot that enjoy public spectacle. If they were cinemagoers that might enjoy a film like John Carter and perhaps make more sense of it. On top of all this the characters, announcers rather, are incredibly elusive, particular Mark Strong. They are unaided by paper thin characterisation. 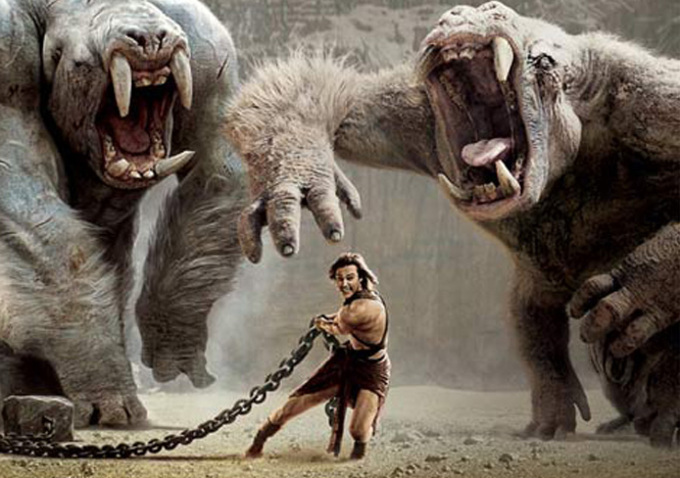 Physicality aside, John Carter is not much of a hero because he favours growling over genuine personality but this is less important when Dejah is introduced as she is far more active and driven than most female characters of this kind, which is pleasing. Dominic West is still yet to find a cinematic vehicle that gives him the same level of charisma and hilarious smugness as his character in The Wire. A lot of his talents go to waste here when he could have had a lot of fun as the villain. On the plus side the film looks great, though in no part thanks to the 3D. Once again the extra dimension servers to line the pockets of Hollywood, rather than adding anything significant on the screen. It suffers particularly in the dark scenes because the glasses absorb any of the light from the screen. But at least the large open plains look outstanding when the film is in its cowboys faze, with high contrast lighting giving warmth and some visible depth to the screen. Superior animation also gives the creatures both expression and weight too. If I had to use my film critics powers of analyse and deduction, I would say that at its core the film is about the timeless nature of global conflicts, shared between man and...never mind, let's just cut to another spaceship blowing up.